Few things in life are perfect. That's what we've all come to expect. Sure, when we were young and naive, we believed that the world was flawless - or at least had the potential to be - but then the disappointments of reality crush our utopian dreams and perfection fades like the idea of Santa Claus. But I'm here to tell you today that perfection does exist in the dark world and it shines like a beacon just downhill from Santa's Workshop. Wilmington may be best known as the home of Whiteface Mountain, epic trout fishing, and a burgeoning mountain bike scene, but it's also home to culinary wonders. 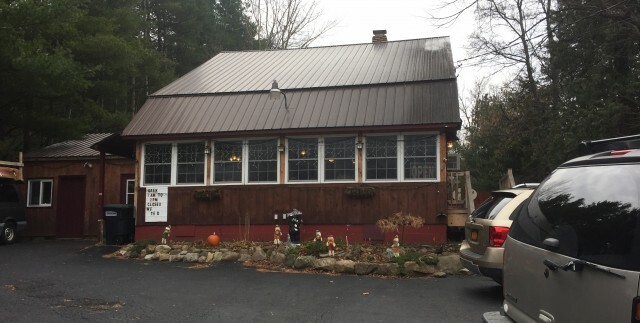 It's the home of Adirondack Chocolates, the gigantic Little Super Sandwich, fresh and unique Italian, fine dining at The Hungry Trout and Wilderness Inn, and a host of other eating establishments that offer quality food. I know what you're thinking, "How could this little village in the middle of the mountains make so many delicious things? It's impossible! You're a liar!" Well it is true. And what's more, Wilmington is home to culinary perfection. 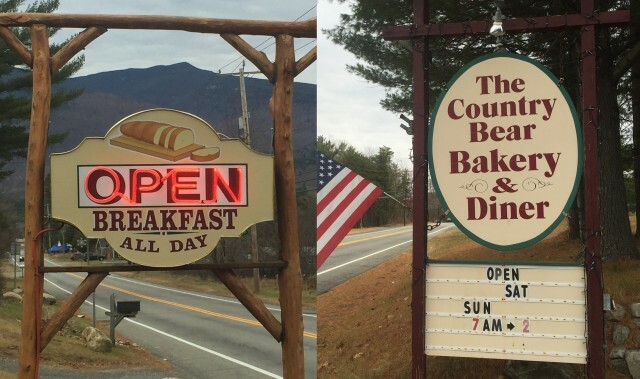 The Country Bear Bakery & Diner is set off Route 86 on your way out of (or into) the village. It's a quiant, unassuming structure with plenty of parking out front. From the road, look for their neon "open" sign. I know. Five exclamation marks? What am I: Twelve? Trust me. It's warranted. 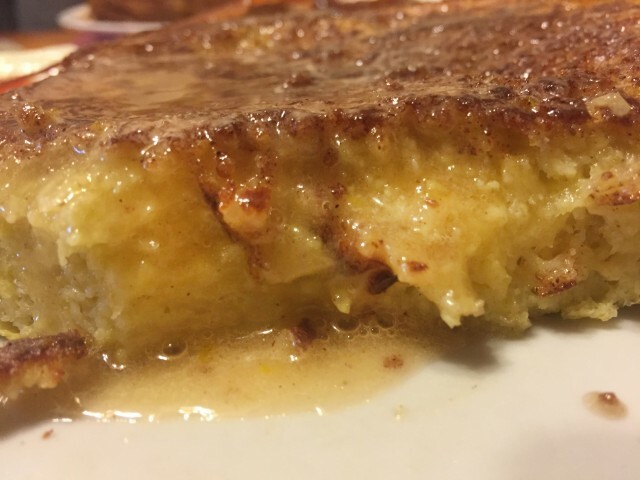 You may think that you've had good french toast before, but that was a lie. A dirty, dirty lie. I don't care if it was your grandmother's home cooking. It was garbage compared to this. I brought my wife and kids along, because if I had eaten The Country Bear's french toast without my wife, it would be grounds for a divorce. And that's not hyperbole. I woiuld literally be sleeping in the street for such a transgression. My wife and I ordered the French Toast Special, which was a slice of french toast, bacon, sausage, and two eggs. 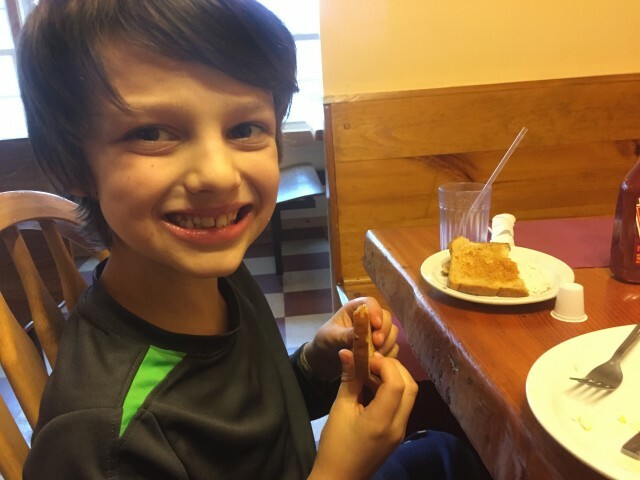 My daughter ordered a slice of french toast and sausage, and my son, the picky eater of the family, ordered eggs, bacon, and toast - and truth be told, we were pretty excited that he voluntarily ordered that much! After a short wait, our food arrived. I wish that I could accurately describe to you the smell. It's amazing! The Country Bear bakes their own bread and slices it thick. They put a brown sugar glaze on the outside, the bread is soaked in - what I think was - custard, and powdered sugar is sprinkled on top. My family was very excited at the site of this feast! The presentation is nice, but the taste... Oh, the taste! What wonders! What elation! Each bite dances across your taste buds like a perfectly sweet ballet. The butter and maple syrup melt and mix on top and flow down the side after each bite. 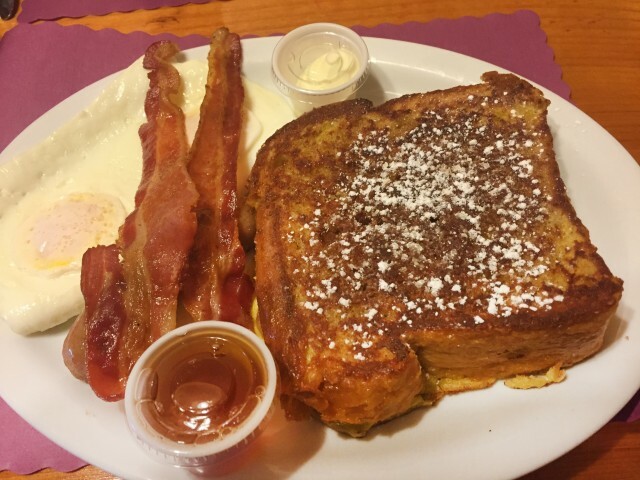 The crispy brown sugar glaze on the outside of the toast is perfectly balanced by the soft, melt-in-your-mouth goodness on the inside. The bacon was cooked to perfection, the sausages were savory, and the eggs were cooked over medium, just the way I ordered them. 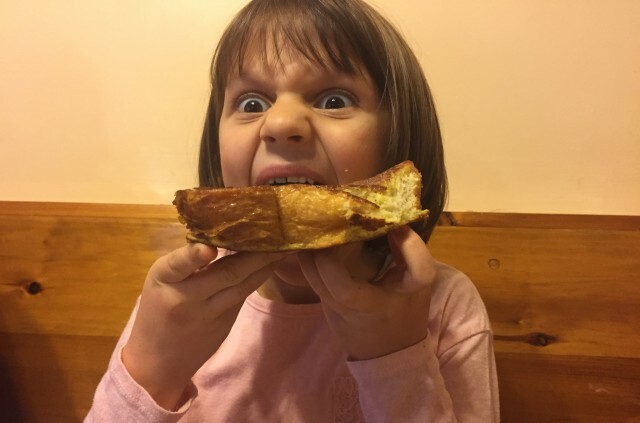 Needless to say, the french toast was well received at our table. Even Mr. Picky Pants was happy with his bacon and eggs. 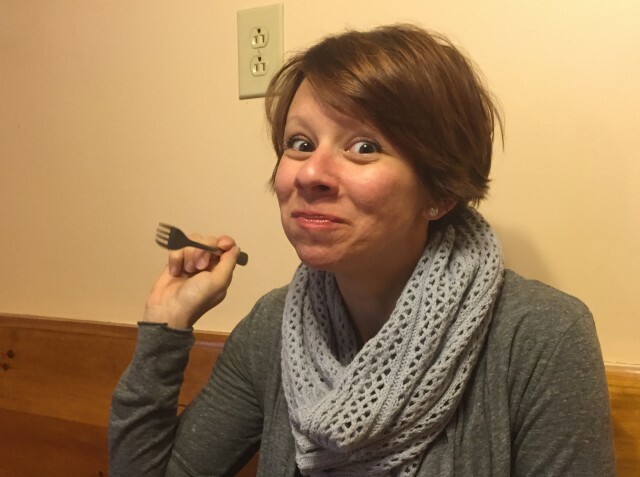 I should add that my wife and I were very happy with our bacon, sausage, and eggs. 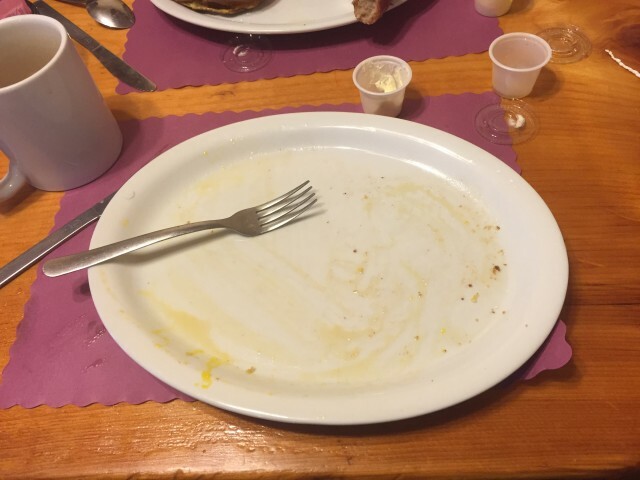 In the end, the only downside is that you can't fit more french toast in your stomach. At least not without being rolled out the door. 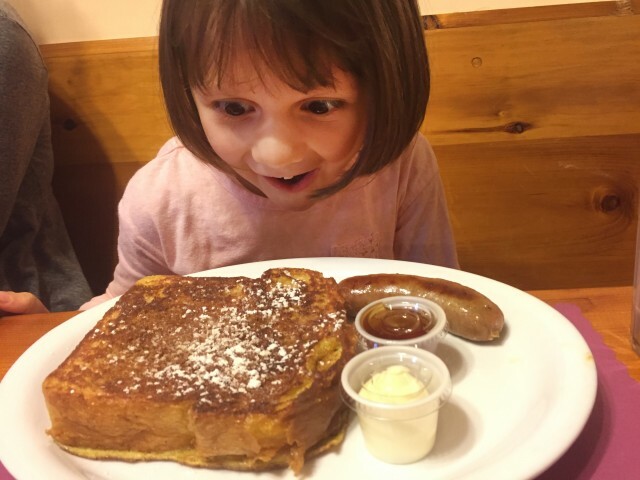 So do yourself a service and stop in to The Country Bear Bakery & Diner and order the absolute best french toast in the world. Tell Freddie that Dan sent you! Cookin’ it up old style. Ditching the kid for drinks & crepes. A taste here, a bite there, dessert everywhere.